I read about fear, bullies, inflated egos, feeling of not belonging, regret, disappointment… being different. I read about suicide, running away, giving up… loss. It hurts me so much to read these things. Children feeling things they should never feel, writers feeling like their words are hated or ignored, parents feeling like they aren’t good enough for their children. It hurts to read. I can’t imagine the pain involved in writing them. Being so entrenched in the autism community, you would think the one common factor each person with each feeling would share is that they have autism but it’s not the only common element. The other, possibly a bi-product of autism, possibly just something more people deal with than we realize, is insecurity. They tell me they are useless, that no one listens, that they are bullied and that they are worthless. They tell me the most terrible things and they say these things about themselves. I used to say these things about myself. But over time, as I found my purpose, as I put my heart and soul into helping others, I began to realize something, I don’t believe myself anymore. Don’t wait until you find your purpose. You don’t need to find a reason. You need to stop believing yourself and start believing in yourself. You are all the reason you need. You need to have pride in yourself, respect yourself, understand how important you are and you need to believe it. Believe in yourself. Do I know you? No, probably not. But that doesn’t mean that I don’t believe in you. I haven’t met anyone yet that I couldn’t believe in. Because every person is important. Autism or not, you are important. Insecurity or not, I believe in you. 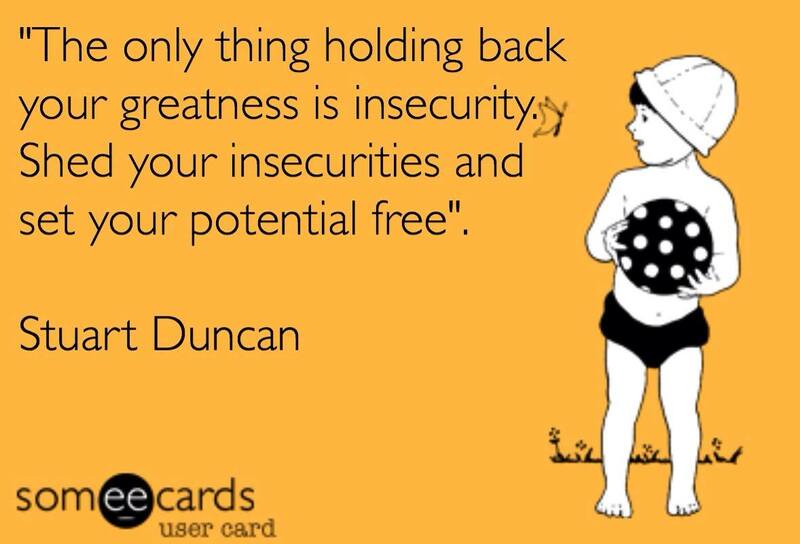 Myself, my son, you, everyone… shed your insecurities and let your potential free. I might not believe you if you say such hurtful things about yourself but I believe in you. Dude, that is an awesome perspective. Thank you for sharing.